Our City Scoreboard brings you up to date on all the local Dana Point team accomplishments and special, individual performances of the week. We want to run your scores, results and announcements. Email sports@danapointtimes.com for submission. 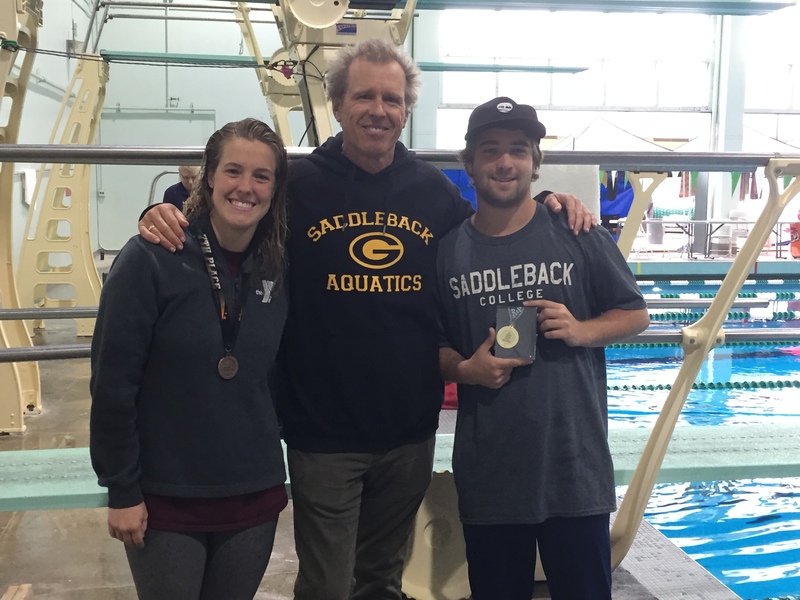 Saddleback College divers Jacob Swanson and Sarah Duke had big performances at the California Community College Swimming and Diving State Championships at East LA Community College May 5-7. Swanson, a Laguna Niguel resident, won both the one- and three-meter diving events at the meet, earning Diver of the Year honors. Duke, a Dana Point resident, placed seventh in the three-meter and 13th in the one-meter diving events. The team is coached by Curt Wilson of San Clemente, who received Coach of the Year honors from the California Community College Athletic Association. Registration for the City of Dana Point Recreation Department’s adult leagues are now open. The department offers co-ed kickball and co-ed softball leagues for interested players over the age of 18. The kickball league is divided into beginner and experienced team divisions and holds games on Monday and Wednesday nights. Cost to register a team is $200 plus $15 per game for umpire fees. The softball league plays games on Monday and Wednesday nights. Cost for a team is $350 plus $15 per game for umpire fees. Both the kickball and softball leagues begin on July 11 and run through Aug. 31. The Dana Point 5th Marine Regiment Support Group is hosting its seventh annual combat golf tournament at Arroyo Trabuco Golf Club in Mission Viejo on June 13. The tournament features several fun military-themed events, as well as a dinner and silent auction following 18 holes of golf. Proceeds benefit the 5th Marine Regiment personnel and their families. For more information on the tournament, visit www.danapoint5thmarines.com.